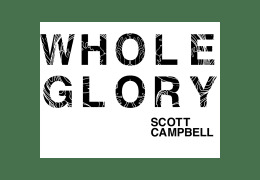 Louisiana-born Scott Campbell is known throughout the world as being one of the most talented hands in the world of tattooing. After abandoning a career as a biochemist at the University of Texas, he fled to San Francisco, and began tattooing. He learned the craft at Picture Machine, one of the oldest shops in California, rich with stories and nicotine stained flash on the walls from it's heyday in the 60's and 70's. 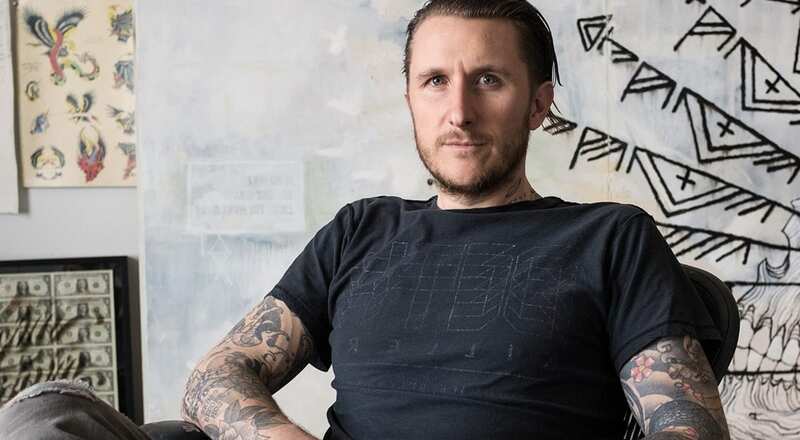 He now owns and operates the legendary Saved Tattoo in Williamsburg, Brooklyn, whose client list includes New York's art and design elite, fashion designers such as Marc Jacobs, and a long roster of celebrities including Heath Ledger, Josh Hartnett, Orlando Bloom, Helena Christensen, and Penelope Cruz. In recent years, he has gained much acclaim from fine art communities worldwide for his work in mediums other than skin, including intricately carved sculptures made out of US currency, a series of watercolor paintings based on his experiences during a 6 week stay in a maximum security prison in Mexico City, and graphite drawings done on the insides of eggshells. Campbell has only shown in galleries for a few years, but his work is already seen in some of the most revered collections and museums worldwide. He is celebrated as one of the brightest new voices in the New York and Los Angeles art scene.